In the first trailer for Despicable Me 3, we were introduced to Gru’s (Steve Carell) new nemesis, Balthazar Bratt (South Park‘s Trey Parker), a former child star who becomes a villain because he’s obsessed with the character he played in the ’80s. 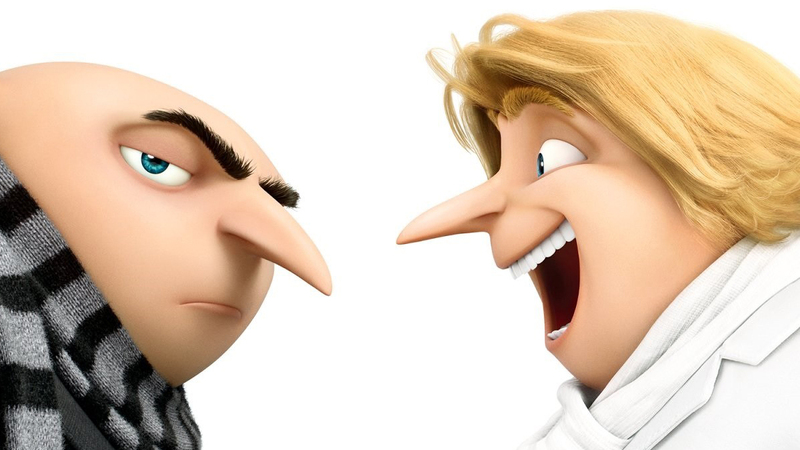 A second trailer has been released and this one shows that Gru also has to contend with a long-lost — and much more successful — twin brother named Dru (also Steve Carell), who entices Gru back into a life of crime for one last heist. Despicable Me 3 was directed by Pierre Coffin (Despicable Me 2), Kyle Balda (Minions) and Eric Guillon, from a script by the screenwriting duo Cinco Paul & Ken Daurio (The Lorax, Despicable Me 2). Kristen Wiig returns as the voice of Lucy Wilde, with additional voice talent by Miranda Cosgrove, Dana Gaier, Nev Scharrel, Steve Coogan, Jenny Slate and Julie Andrews. The movie opens on June 30, 2017.